When I found out about Follow Us Monday Morning, I figured this will be something fun to join on a blah Monday morning! Well, the Monday morning itself isn't blah. It's really nice and sunny this morning. It's just me that's feeling blah. I really could have used a bit more sleep last night! I wish I had time to nap with Grace today. Every week, at Follow Us Monday Morning, there is a new topic question. This week's question made me laugh! Really, I laughed out loud! Mom, you'll get a chuckle out of this one! 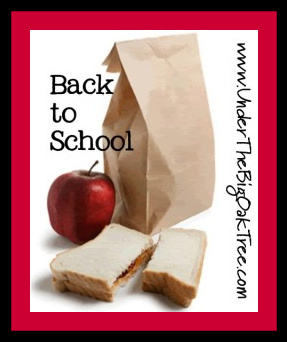 Do you have sweet memories, or memories of terror from your first days back to school? To say that I hated the first day of school would be an understatement. I had terrible separation anxiety as a kid and I have vivid memories of my Mom trying to get me into the classroom, carrying me, while I grabbed everything I could to try to keep her from taking me in there. I spent most of kindergarten in the bathroom. My crying would disrupt the class so much that they set a chair in the bathroom for me. I don't know why I wouldn't stop crying, since I remember LOVING my kindergarten teacher. Mrs. O'Donnell. an angel made from egg cartons, a foam ball and some glitter and pipe cleaners. And then, that first day of school after Christmas break, it all started again! The separation anxiety. The screaming. The crying. The wrestling match to get me into the classroom. My little chair in the corner of the kindergarten bathroom. Same thing happened before and after Easter break, too. I blame it on the fact that I was too young for kindergarten. The cut off dates for starting school was different then. I was 4 when I started kindergarten in September. I turned 5 in November. That was way too young to start kindergarten. I don't think pre-school was available then. The crying on the first day of school continued until the 2nd grade. But even after that, I always dreaded the first day of school. If you want to share a story about your first day of school, click on the Follow Us Monday Morning button at the top and join in on the fun! Oh! Speaking of Back to School...My friend Lisa is hosting a product review and giveaway on her blog. 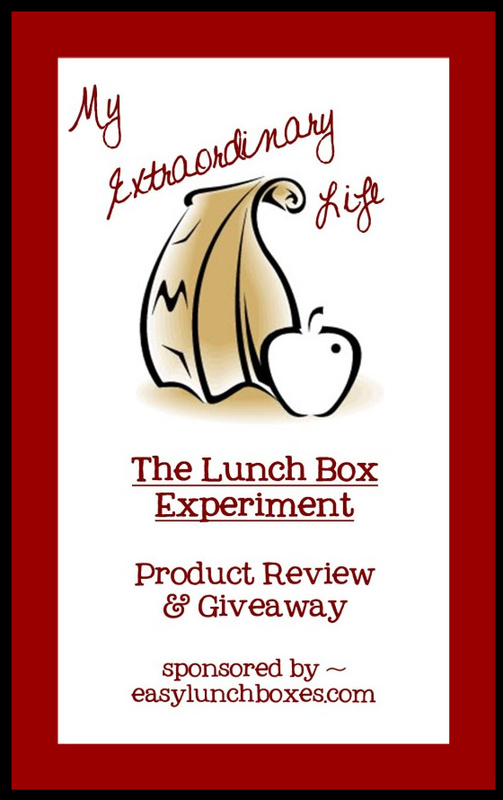 One lucky reader will win an Easy Lunch Box System from easylunchboxes.com! Just in time for back to school! Click here to find out how to enter! I was attracted to your blog by its name. I love Oak trees and the majority on our property are oaks. Your story of your dislike for school saddened me as my daughter also had some anxiety problems. As a mother it always breaks your heart because you feel your failing them. She is now 30 and has blossomed into a self assured woman but her daughter now displays the same anxiety. I'm so glad I found your blog through Follow Us Monday Morning and will be back again to visit. I'm so sorry to hear that you had such a horrible start of school Allison. My oldest son was really upset when he started Pre K, and he cried for about six weeks. Each year at the start of school I hold my breath, and I am happy to say that he had no problems at all this year. I also just sent my four-year-old off to Pre K for the first time this Monday, and he yelled out: "Mom, don't you need to go?" while the other kids were crying. Siblings sure can be different!